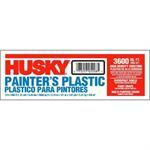 Professional Paint Products is a wholesale distributor of industrial safety and paint supply products. We provide painting supplies, safety products, rigging supplies, hoses and accessories, hardware used in containment projects and marine supplies online at the lowest price. Whether you are starting a small project and need a paint roller or need a few 3M 7000 Series half facepiece respirators for a construction site, we can provide you with what you need. We are continually updating our online inventory of products from suppliers such as 3M, Arroworthy and Indusco to name a few. Thank you for visiting our site. 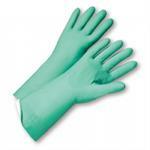 Polypropylene disposible clothing provides affordable lightweight protection against non hazardous dry particulates like dirt. This small half facepiece was designed with the wearer in mind. Its soft sealing surface, along with a uniquely designed, 3M Cool Flow Exhalation Valve, enhances wearer comfort and face fit. Use with 3M Filters 2000 Series, 3M Filter 7093, P100, 3M Cartridges 6000 Series, or 3M Dual Airline Systems against a variety of gases, vapors and particulate hazards according to NIOSH approvals. 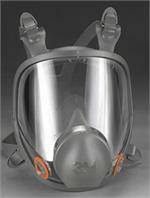 N95 respirator designed to help provide reliable protection against certain non-oil based particles. Low priced N95 that features Advanced Electret Media, adjustable noseclip and nose foam to help provide a custom fit and secure seal.